For West-Berlin, the bloody riots around the Persian Shah's visit on June 2, 1967 presented a new experience and a key moment. After World War II, the city had not seen a similar degree of violence and open rebellion against police orders. 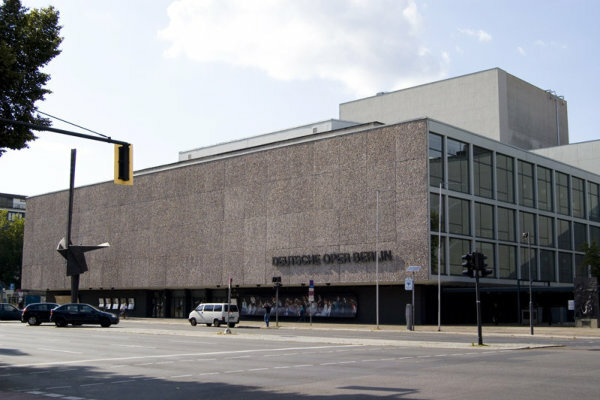 In addition, a tragic death occured: Benno Ohnesorg, a student, was shot dead by police in the inner courtyard of a building on Krumme Strasse, right in front of Deutsche Oper, the opera house where the Shah and his wife and entourage were enjoying Mozart. For days to come we debated all that intensely among us. But strangely that day's explosion of violence, committed by streetfighters as well as cops, did not result in dismay, but in a simple arid conclusion: we should better be aware that future demonstrations might easily turn into uncalculable sudden violence and prepare for it. We did not reflect the application of the state's means of violence, i.e. police action, we took it as granted that police was allowed to exercise violence only reactively, depending on the actions of the opponents, officially named "Störer" (disturbers, disrupters). Nor did we, the members of riot police units, reflect to which extent violence should go or how to avoid violence altogether. It did however appall us that in front of Berlin's city hall „Schöneberger Rathaus“ a violent crowd of Persian (secret service) claqeurs had been allowed to break all rule of law and to do so actively helped by at least one cop. It was the contrary of everything we had been taught about police rules during our trainings. Theory and practice were beginning to fall apart. Neither did the June 2 occurences lead West-Berliners to rethink. The famous "regular guy on Main Street" did not appreciate these "long-haired bums" anyway, they should all get up and work. Berlin's population was divided, and the media as well as the politicians' words aggravated the polarization and the tendencies towards violence on both sides. For a long following period nearly no demonstration went by without violent acts, and they were mostly not spon- taneous happenings, but planned long before in meetings and publicized by flyers. Still, violence continued – with explosives in department stores, stones and steel bullets thrown on cops, water guns, cops on horseback and riot sticks swung on demonstrators. It was Klaus Hübner, the newly installed police commissioner, who started work in 1969 and finally paved a way out of the ever-escalating violence, exchanging ideas with Siegfried Schubenz, the FU's psychology prof, and a few reform-oriented high-ranks within Berlin police. Gruppe 47, officially named "Diskussionskom- mando", was founded, became a legend and – is nearly unknown nowadays. Unfortunately even to the members of the "Conflict Teams", established in the new millenium as a signal of de-escalation and a means of violence pre- vention. Sad but true. 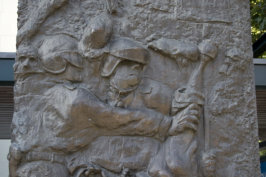 But it was those volunteers from all kinds of departments, ready to form a discussion unit by the nickname Gruppe 47, who first started to deal with what was in their opponents' minds, who replaced willing incomprehension by the desire to really understand them and to talk with them. The situation reached its climax with the "Easter turmoils" of 1968 and the "Battle on Tegeler Weg" of 1969. The latter event however brought several people back to their senses. Violence was eventu- ally being discussed, both within the APO and the police. After some time, the extra-parliamentary opposition, lacking any common revolutionary di- rection, dissolved into splinter groups like KPD-ML (Communist Party of Germany/Marxist-Leninist), all of whom would soon sink into the insignificance.